The first course focused on Archival studies in Pakistan to bring together the knowledge from several disciplines to equip people working in different archival environments under the auspices of Information Technology University (ITU) the Punjab concluded here today. Speaking at the conclusion of the course, Mr Faisal Yousaf, Director General IT Operations at PITB said that the course added to the skill set of our team immensely. This specialised training enabled them to carry out their tasks in an efficient and able manner for this important project in the Punjab. Addressing the certificates distribution ceremony Zaheer Sarwar, Registrar ITU, underscored the innovative nature of this course said the ITU has always strived to bring new thinking to Pakistan, and pioneering this course in the country using technology aiming to help preserve our past for our future. During the seven week archival studies course the students were taught by various experts from different fields on topics ranged from understanding the difference between a library and an archive, types of archival management schemes, preservation issues, ethical concerns, bibliographical problems, and the modernisation and digitisation of material. This comprehensive course was specially crafted for the team members of the Punjab Archives Digitization Project enabling them to fully equip for undertaking the task of digitising the largest archive in Pakistan. The Punjab Archives Digitisation Project was envisaged in 2017 with the aim of opening up the largest archive in Pakistan for researchers and the public. The project initiated with an opening workshop where scholars from all across the world came and set the tone for the project in March 2018. Several exhibitions, based on primary sources from the archives, were organised in 2018 to introduce the archive to scholars and the people. To date over twenty years of documents have been sorted, preserved, and organised for digitization, which is continuing at a fast pace. 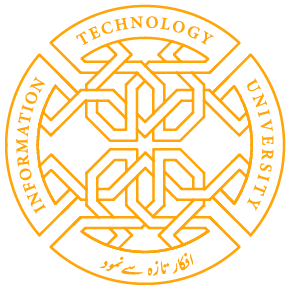 Share the post "FIRST COURSE ON ARCHIVAL STUDIES IN PAKISTAN CONCULDES AT ITU"